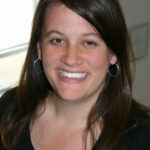 Mel Umbarger, BTC Senior Communications Specialist, at mel@ncjustice.org. North Carolina lawmakers interested in changing the franchise tax should reform — not cut it or eliminate it — in order to preserve investments in education, roads and bridges, health care, recreation facilities, and other building blocks of a thriving economy that the tax makes possible. Doing so is far more important to the state’s long-term economic prospects than any trivial boost such a tax cut might generate. Senate leaders have introduced legislation that would reduce the franchise taxes paid on each $1,000 in net worth while setting rates for different types of businesses and those in different industries.1 Bill sponsors have stated that their intent is to pursue complete elimination of the franchise tax in future years.2 The outright elimination of the franchise tax would result in a loss of more than $670 million3 and deliver yet another corporate tax break that is unlikely to change economic performance, ensure North Carolinians have good jobs, or strengthen commercial activity in our communities. North Carolina faces a host of unmet needs in our classrooms, in our communities, and for our families. The state’s current tax code and the approach that would continue to reduce taxes paid by businesses is undermining the well-being of North Carolinians, from school capital needs to classroom supplies and supports, to public health protections and health care access, to the water and sewer infrastructure that stewards our natural resources and supports the health of families. 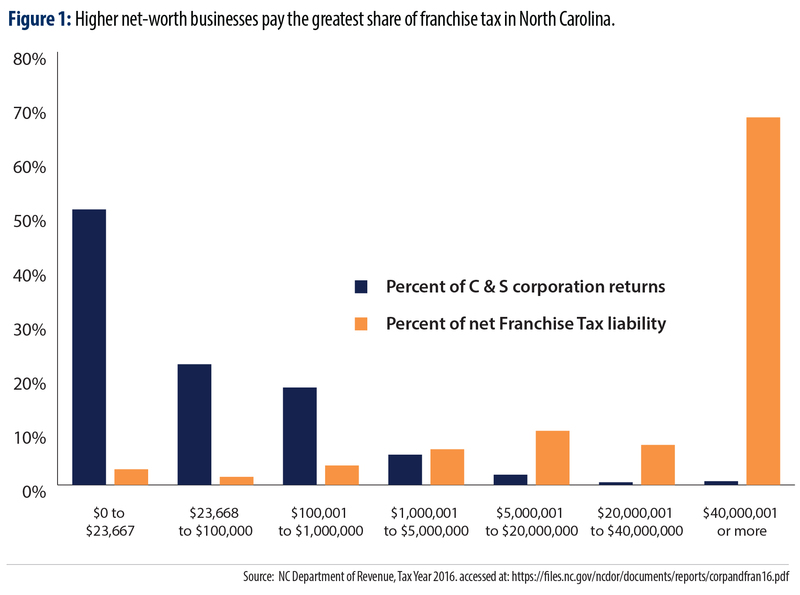 The franchise tax is paid by most businesses operating in North Carolina and can be thought of as an alternative minimum tax paid by businesses in light of cuts to the corporate income tax. The revenue collected supports shared priorities like educating each child and protecting the health and well-being of families. The annual collection from franchise tax was roughly $670 million, equivalent to more than what is needed to get North Carolina’s per pupil spending back to pre-Recession levels. Proponents for the elimination of the franchise tax argue that this is double taxation. However, in most cases, claims of “double taxation” resulting from the franchise tax are bogus. The franchise tax is taxing assets, not income. Given that and the way in which income is now apportioned for state tax purposes, the franchise tax is not being applied to the same base as other taxes. The corporate income tax doesn’t apply to S corporations at all, even though their owners enjoy the complete limited liability that C corporation owners do. And 51.8 percent of C corporations had zero income tax liability or received net refunds in tax year 2016.11 Claims of “double taxation” are a red herring in any case, because multiple taxation is common throughout state and local tax systems. Any effort to reduce or eliminate the franchise tax must be revenue neutral and seek to raise the equivalent dollars from businesses only, not North Carolina’s working families. Expand the businesses subject to the franchise tax to include Limited Liability Companies; this corporate structure is proliferating in the state but not generally subject to the franchise tax – even though it is very similar to S corporations, which are subject to the tax. Raise the corporate income tax rate back to 5 percent. The erosion of corporate income tax collections has contributed to the inability of the tax code to deliver on current service commitments and fully meet needs identified as urgent in communities across the state. Ensuring that businesses continue to pay the taxes that help our communities thrive is critical to our goals for a strong state economy and the well-being of North Carolinians. Legislators considering proposals to eliminate the franchise tax must ensure that they are considering the ways in which this will shift the tax load further onto individual taxpayers and make it more difficult to invest in the education, health, and well-being of families. Download: PDF of "Reform — don’t eliminate — the Franchise Tax"